Foolproof liquid level alarms ensure process chemicals never run out or overfill. 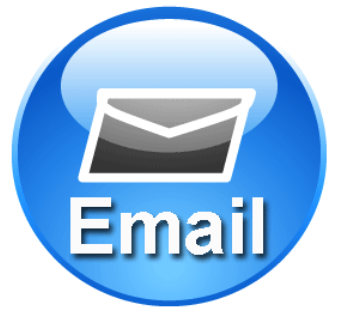 Please call for controls / accesories or special applications. The TANK ALARM grabs attention with a bright flashing LED and a loud beeper when liquid level is too high or too low. Easy to install. Easy to adjust the depth in tank. Stop overfilled or empty tanks for good! Always on duty because it uses uninteruptible battery power. Lasts for years. Loud warbling tone cuts through the loudest industrial noise. A functional check is simple - just loosen the cord grip and lift the Tank Alarm out. Reliable float switch is protected inside a pipe. Safe. 9 volt circuit in a waterproof enclosure. Choice of power. Battery, 12VDC, 24VDC or AC power option. 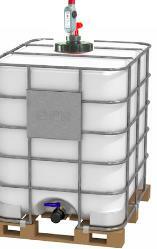 THE TANK LEVEL ALARM prevents overfilling. Easy to install as its battery powered. No wires, no electricians needed. Lithium battery included lasts for years. Uninterruptible battery power works through power failures, can't come unplugged, or be defeated. And because the Tank Alarms don't use any power until alarming, the batteries last for years. further discussion. Easy to adjust the depth of the Tank Level Alarms - just loosen the nut and slide the level alarm to the correct depth. Adapters for any mounting situation. (2" NPT, bolt-on flange, bulkhead feedthrough etc. Float is protected inside a pipe. This feature protects the level float so it can't be damaged. Screw-on float guard allows inspection of the float. Optional sreened float guard keeps solids, debris or insects out so they don't foul the float. Weatherproof enclosure - NEMA 4X (IP65). High-visiblity beacon LED is clearly visible outdoors. Any Depth. Standard level alarm depths available up to 5 ft. Custom depths have been made 20 feet deep. Optional circuit board allows different behaviors in addition to testing the circuit such as silencing the buzzer while allowing the LED to continue flashing, a snooze alarm to silence the buzzer temporarily, shutoff mode for filling tanks so the LED and buzzer both turn off until the next fill-up, and low battery monitoring. This is the "silencing button" option. Polypropylene models (ex. TH-PP) have all polypropylene parts including piping. PVDF (Kynar) models have a reversible float. Stainless steel tank level alarms on this page. Everything Included - Every unit includes a threaded bushing to adapt the 1" NPT threads for the cord grip to 2" NPT. threads. Lithium battery is included. The illuminated button silences buzzer. LED flashes until level is corrected. Resets automatically. Low battery alert. Button silences the audio alarm while LED continues to flash. Resets automatically. Includes a low battery warning. Button also tests the unit. Switches a relay to control pumps or solenoids. Silences and test alarm. Piggyback plug makes hookup easy. When plug-in AC power is preferred. Comes with 3 prong plug and 8 foot rubber jacketed cord. Power convertor inside box. A bracket designed for mounting on open top tanks and containers. 1.3 inch diameter hole accepts adjustable collar. Lithium Thionyl chloride chemistry has a self discharge rate half that of Ultralife LiMNO2 - standby life of 20 years. A top screen will completely enclose the float which allows for reliable operation in liquids containing solids. Also keeps insects out. A circuit board allows you to select N.C. or N.O. output to your PLC. Includes button to silence buzzer. Includes 10 feet of communications cable. Wireless transmitter inside the level alarm sends a wireless signal to the receiver. Buzzer and relay in receiver. Siren alarm gives an extremely loud signal. Suitable for entire buildings. Extra cable length over the standard. Heavy 0.032" jacket for superior durability. Eight stranded conductors x 24 gauge. For units with a cable. Makes it easy to connect and disconnect. Snap-on muffler reduces the volume by 20 dB and anywhere in-between just by rotating the slots. Default color is red. Amber, Blue, and Green are in stock. White is a special order. INTRINSICALLY SAFE TANK LEVEL ALARM alerts if liquid level is high or low with a loud beep. Easy to install with many different mounting adapters. Easy to adjust the depth with no tools. 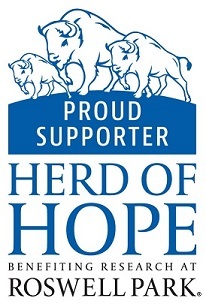 Stop overfilled or empty tanks for good! Install anywhere: battery power is not limited to locations near power outlets No wiring hassle or expense. Rugged. Built for rough, wet and corrosive environments. NEMA 4X. UL approved Class 1, Div. 1. EASY TO INSTALL liquid level alarm is Uninterruptible battery power ensures there are no cords to come unplugged, or breakers to trip, and it works through power faiures. Always on duty monitoring level 24/7. Durable stainless steel construction. Every unit inludes a SS grounding lug. For especially abusive environments there is an optional guard for the float that screws on to protect it from physical damage. Easy to install by connecting a single wire internally, and then just mount it on you tank or drum. The depth is adjusted by loosening the nut on the cord grip so the shaft can be slid to the desired length. No tools needed. Wetherproof - all NEMA 4X construction. Pipe is sealed in cord grip with a rubber gland. Depth adjustment is easy: just loosen the cord grip nut and slide the pipe to the proper depth. The 1" NPT cord grip works with many adapters for any mounting situation. (2" NPT, flange, bulkhead feedthrough, tank wall etc.) Float switch is reversible. Operation Red alarm light will flash during use for notification to the user. Low battery light indicates when battery needs replacing. Shelf life of the lithium battery is 10 years. Stainless Steel OptionsAll wetted parts are type 304 stainless steel. The standard model has a 304 stainless steel float which is 24 mm in diameter. A "screw-on guard" is an available option which allows the alarm to be moved from tank to tank without worry. The float is reversible. Cold weather suitable - All components are rated for -40 °C operation. Models for drums the 3/4" NPT opening in drums requires a very small-diameter float switch and pipe. The model DHK-IS is designed for this application. 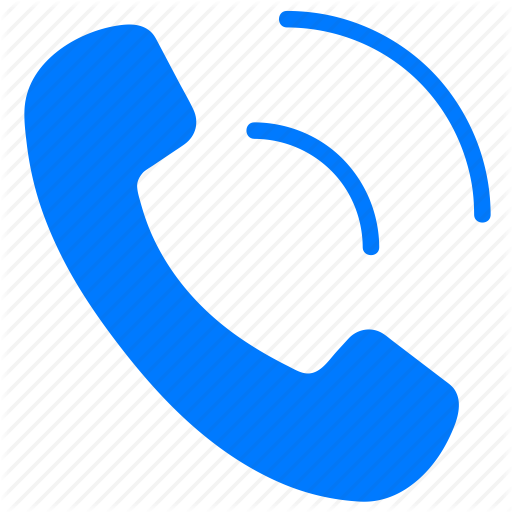 Please call to discuss this application. Fastens securely to the side of an open tank or truck opening with SS thumbscrews. For applications where the alarm is frequently removed from tanks or drums the guard prevents damage to the float. Adapt from the 1" NPT cord grip. A 2" stainless steel plug welded to the pipe. Depth is not adjustable. KNOW IF THE WATER IN YOUR SUMP IS TOO HIGH. Very loud buzzer will be heard in all corners of your plant/house if power fail or if the liquid level is high. The DRUM ALARM for HIGH LIQUID LEVEL alerts your attention to full drums with a bright flashing LED and a loud beeper when liquid level is high. Just drop it in a drum and never overfill again! Always on duty because the liquid feed tube is permanently attached to the alarm unit. Transfer to a new drum is easy: No need to screw in threads or fiddle around with tube connections, just drop in. It can go anywhere because it is battery operated. No need for power outlets. Uninterruptible battery power lasts for years.Lithium battery always included. OVERFILL ALARM for drums lets you pump liquids into chemical drums and containers. The high level Drum Alarm is quick and easy to install - lets you forget about overfilling forever. Simply drop it into a drum and you're ready to go! No wiring. 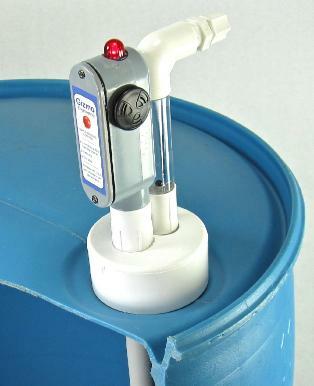 The Mounting Cap on the DHL-1 Drum Alarm makes it easy to switch to a new drum when the old one is full since you don't have to disconnect tubing while you unscrew a cap - it just drops over the bung. The cap keeps debris out of the drum, and suppresses vapors even liquid ammonium hydroxide is not a problem. Attached Feed Tube on the DHL-1 Drum Alarm makes sure the alarm stays with the alarm. Your tubing is secured with a foolprooof all-polypropylene compression fitting to eliminate chance of spillage due to hose disconnection. Float is protected inside a rigid pipe so it can get knocked around without worry. Screen protects float from debris on model DHL-1. Different Materials: PVC, Polypropylene, PVDF, Stainless Steel. DHL-1 includes a 1/2" PVC liquid feed pipe to pump liquid into a drum. The cap slips over a standard 2" drum bung. Alarm depth is fixed at 1" below top of the drum. Polypropylene float and PVC pipe. DHA-5 liquid feed pipe and a cap like the DHL-1 but depth can be adjusted with a thumbscrew from 1-5". Polypropyelene wetted parts. (float and pipe)rew. Polypropyplene wetted parts. (float and pipe). DHP-7 has a liquid pipe and mounts on the drum with a 2" NPS threaded plug. Working depth is adjustable from 1-7 inches using a thumbscrew. Polypropylene wetted parts. DHK-7 is an alarm only and does not have a liquid pipe. Mounts on the drum in the 3/4" threaded bung. Can be adjusted from 2" to 7" maximum depth from the top. All polypropylene wetted parts. Higher visibility strobing light illuminates when a cycle is over. Colors: Red, Blue, Amber, and Green. Optional check valve for use with diaphragm pumps. Stops the liquid from draining out of the feed pipe during transfer to a new container. Eliminates re-priming pump. 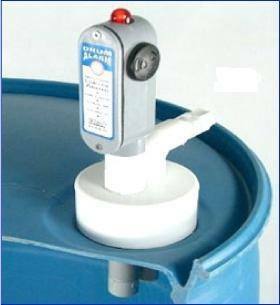 The DRUM ALARM for LOW LIQUID LEVEL alerts your attention to empty drums with a bright flashing LED and a loud beeper when liquid level is low. Just drop it in a drum and never run out again! Protects your Pumps from debris with an intake screen. MONITOR LIQUID LEVEL IN DRUMS when feeding from chemical drums and containers. Quick and easy to install - then forget about drum level forever. 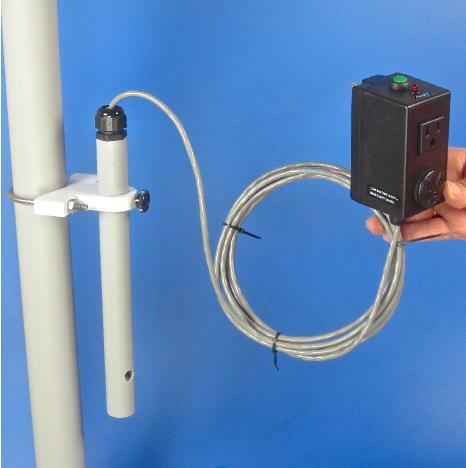 Simply connect your liquid suction line and drop it in a drum. You're ready to go! 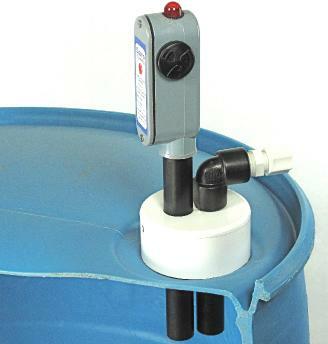 The Mounting Cap on the Drum Alarm makes it easy to switch to a new drum since you don't have to disconnect tubing while you unscrew a cap - it just drops over the bung. The cap keeps debris out of the drum, and suppresses vapors even liquid ammonium hydroxide is not a problem. Attached Suction Pipe can't be separated from the float switch, so the level alarm is always on duty. Removable Filter Screenguards your pumps from debris or crystals. Float switch is protected inside a rigid pipe so it can get knocked around without worry. Secure compression tubing connection eliminates air leakage in your feed lines. 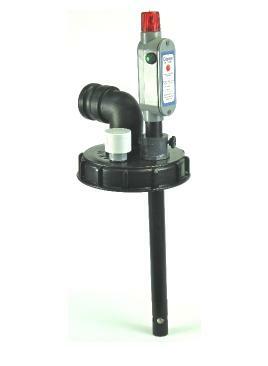 The Built-in Suction Pipe depth is perfectly sized to reach the bottom of the drum to pump out all of the liquid. Because it is a rigid pipe, it always draws from the bottom and your pump will never be drawing air instead of liquid. Polypropylene float is standard on all models. Pipe can be PVC or polypropylene piping. All-PVDF models also an option. 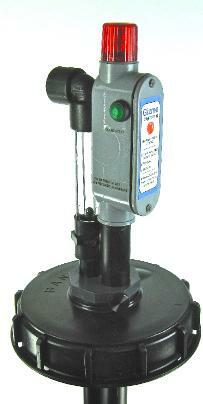 Drum alarms come with or without acrylic flowmeter, or suction pipe. Standard models slip over the 2" bung, and there are also models to screw into the threaded bung. DLA-PP Same as above but has polypropylene pipe. Adjustable (white) lid slips over drum bung. DLAX-PP Adjustable lid like above but no flowmeter. DLAX-KY Adjustable lid like above but Kynar (PVDF) wetted parts. DLP Float switch alarm pipe and suction pipe. Threaded plug screws into 2" NPS bung. Polypropylene wetted parts. DLK Float switch alarm without suction pipe screws into a 3/4" bung. Depth is adjustable with a thumbscrew. Fits drums up to 55 gallons. Polypropylene wetted parts. DLQ Same as DLK but fits a 2" NPS bung. Polypropylene wetted parts. If you don't see the model you need, we'll gladly customize it for you! Please contact us. Draw all of the liquid out of your drum. Tip drum to collect liquid around Drum Alarm intake. Dense chemicals such as sulfuric or phosphoric acid cause the drum alarm to partially float out of solution when the drum is full. Steel shot sealed in the float pipe keeps it down. The IBC TANK HIGH LEVEL ALARM is supplied with a cap to fit an intermediate bulk container (or tote tank). When liquid level is high, a bright flashing LED and a loud beeper alerts personnel. Battery powered so no wires to install. Never overfill again! A functional check is simple - convienient button for testing. IBC TOTE TANK ALARM for high liquid level makes sure your tank will never overfill. When liquid level is high, an IBC Alarm emits a very loud 103dB warbling sound, and flashing LED. Uninterruptible battery power works through power failures, can't come unplugged, or be defeated. And because the Tank Alarms don't use any power until alarming, the batteries last for years. A low battery alert is an option. Float switch is protected inside a rigid pipe so it can get knocked around without worry. Optional screen protects float from debris. Adjustable Depth. Simply loosen the cord grip to slide the pipe to correct depth. Standard maximum depth is 10" and this can be adjusted to 1" if desired. Because the liquid pipe and the alarm are integrated into the same unit, the level alarm is always on duty. IHK-PP-10 polypropylene float switch and pipe mounted in an adjustable collar. No feed pipe. IHK-KY-10 is the same as above but has PVDF pipe and float so all wetted materials are PVDF. IHP-PP-10 has a 3/4" pipe to feed liquid into the tank. Feed pipe and alarm mounted in a 2" NPT plug throught the IBC lid. IHP-KY-10 is the same but has PVDF pipe and float so all wetted materials are PVDF. Vent cap installed on lid allows more air exchange for high flowrates. Screen keeps out debris. Fill your IBC tank with a 2" male cam-lock polypropylene plug. 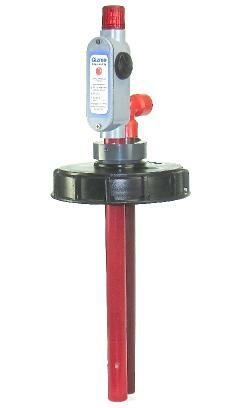 The IBC TANK LEVEL ALARM is supplied with a cap to fit an intermediate bulk container. (tote tank) Liquid is fed to your process through a tube and flowmeter. When liquid level gets low, a bright flashing LED and a loud beeper alerts. Never run empty again! Always on duty because the liquid tube is permantly attached to the alarm unit. Flow indicator built into low level units. IBC TOTE TANK ALARM for low liquid level makes sure your process will never run out of chemicals. When liquid level is low, an IBC Alarm emits a very loud 103dB beeping sound, and flashing LED. Uninterruptible battery power works through power failures, can't come unplugged, or be defeated. And because the Tank Alarms don't use any power until alarming, the batteries last for years. Adjustable Depth. to fit any size tote. Simply loosen the set screws to slide pipes to correct depth up to 50 inches. (Standard Mauser 330 gallon IBC has a depth of 48.5". The feed tube is permanantly attached to the float switch, so the level alarm is always on duty. Removable filter screen on the suction pipe guards your pumps from debris or crystals. A replaceable check valve can be easily inserted in-line to prevent liquid from draining when transferring to new containers if needed. Polypropylene models have polypropylene floats, and polypropyelene piping so all wetted parts are polypropylene except the Acrylic flow indicator and glass ball. If Acrylic is incompatible there are models available without the flow indicator. ILP-PP - polypropylene wetted parts with liquid suction pipe and acrylic flowmeter. Includes 6 inch buttress thread lid. ILPX-PP - same as above but no flow indicator. ILK-PP - no liquid suction pipe. (level alarm part only). PVDF (Kynar) models have the suffix KY instead of PP. A regular IBC lid with the threads taken off so it slips on and doesn't need to be screwed on for fast tank changes.